“Ultraviolence” is a slow album. It’s easy to overlook the album as a long, long wick attached to a room full of fireworks, burning slowly and ending before the big bang. But to look at “Ultraviolence” like that is to ignore the music’s subtleties, and the complexity of the album’s subject matter. 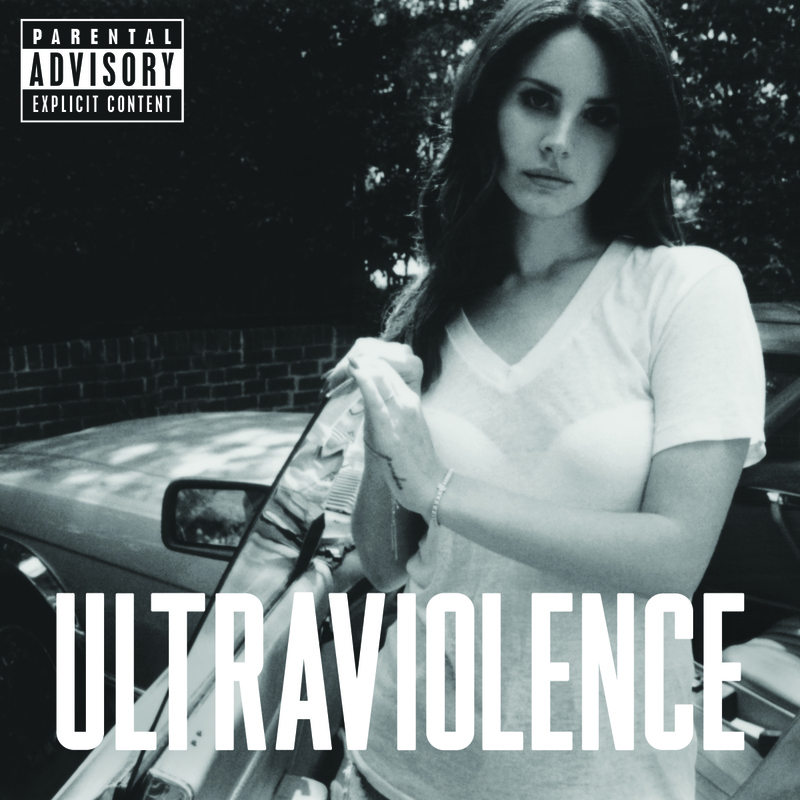 “Ultraviolence” is a dark record, one that examines a woman who tries to ride her way to the top, but never excels past being “The Other Woman” (as evidenced by the final track). Given Del Ray’s recent, questionable comments on feminism, the album isn’t a critique on women in society today as much as it is a semi-personal narrative. It helps to strengthen the cinematic quality of the album. And it doesn’t hurt that Del Ray’s vocals are stronger this time around, rationing out a few strong performances across the album. The album’s opener, “Cruel World,” is also the longest, at 6:39. It’s a building and intricate song, one that sets the tone by really taking it’s time to get to an engaging climax. It’s a slightly captivating song, and an unexpected one to open an album, even for Del Ray. What follows is a number of polarizing songs – sometimes engaging, other times putting up a strong barrier. Nearly all of them are a medium tempo, which should be a distraction or even a boredom, but when almost every song has it’s own identity, it doesn’t even matter. The only real exception is the excellent “West Coast,” full of tempo changes and a low-key funk that isn’t present anywhere else on the record. Del Ray’s lyrics focus on struggling to find your identity and struggling to find success, accepting defeat in both. They’re typically dark – with titles like “Old Money,” “Pretty When You Cry,” and, of course, “Fucked My Way to the Top.” They call back memories to the pratfalls of luxury in the 20′s-50′s, even with modern references and a decidedly more provocative and profane tone. And her vocals are stronger; she’s allowed herself to open up and expand her range. “Shades of Cool” finds her in a high pitch, alternating between beautiful and off-setting. “Money Power Glory” is another track where her voice flourishes in big, grand ways. She’s often cooled down, but the rare times when she wants to take control – she does. These rare moments highlight the album’s otherwise restrained times, both benefits. The album is bolstered by fine production, as well, courtesy mainly of Dan Auerbach (singer for the Black Keys and producer of everyone). The production is borderline cavernous, adding a faint echo and an ungraspable dark feeling throughout. It’s slickly produced – but not to the point where it’s actually pop. “Anti-pop” isn’t a phrase, outside of a long forgotten Primus album, but it’s almost something that could describe Del Ray. With meandering tempos, cinematic music, dated lyrics and often 5+ minute lengths, her songs aren’t designed for radio. Yet they’re distinctly pop, a type of dream-pop. It’s melodic, and catchy, but in a low-key way. It isn’t possible to dance to this (as we now know, thanks to SNL). Like Nico long before her, and Lorde shortly after, Del Ray’s pop music is one of depth and density, not one of rapidity and popularity. You probably have a strong opinion of Del Ray, good or bad, and “Ultraviolence” isn’t going to change that. But it’s a strong pop release, ripe for analysis, and an improvement over her still notable debut. Like her or not, Del Ray’s strongest quality has been her ability to establish a persona in no time. And “Ultraviolence” really runs with it.